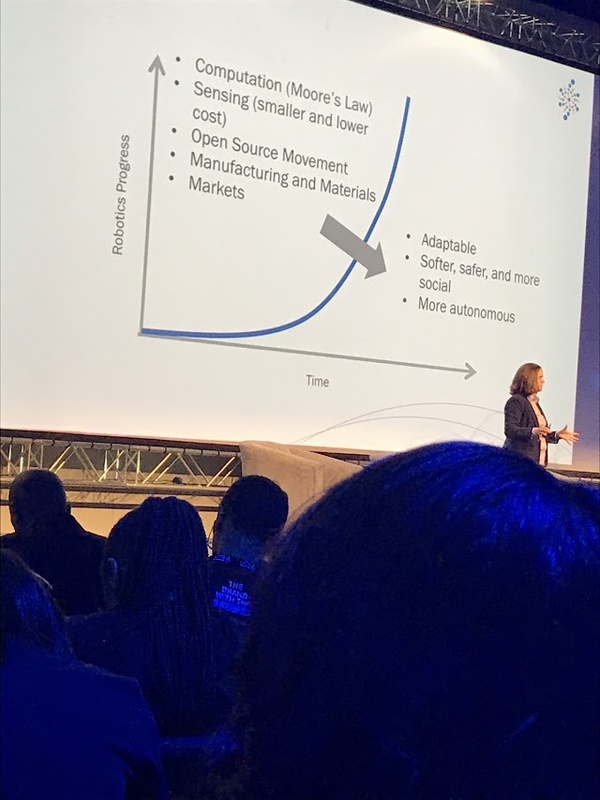 So it might not be the official definition of Singularity University, but in my head it’s a showcase of where we are as humans. The boundary of mankind. And it’s mind blowing! 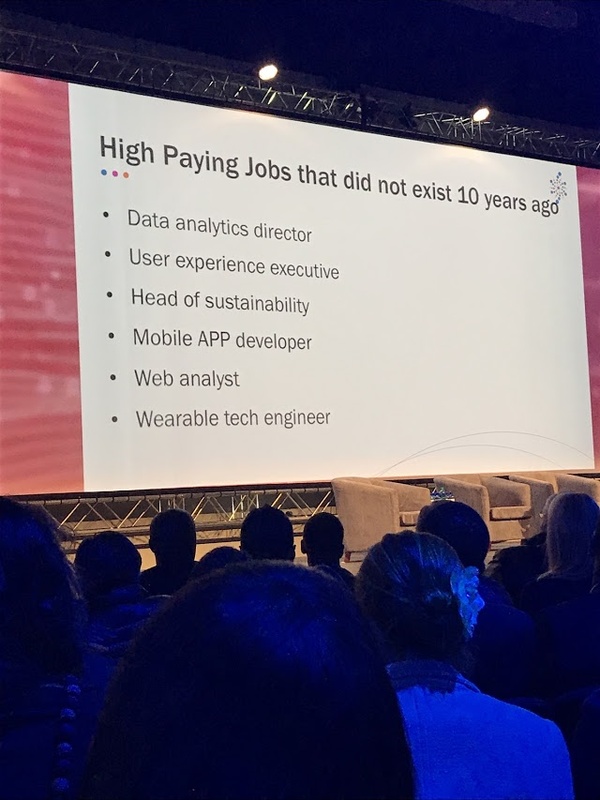 Disruption is happening, we see it over and over again, and for some reason, the company/industry getting disrupted, battle to adapt. David Roberts took us back in history as he explained how ice disrupted the spice trade industry, and how the disruption continued until the common household fridge we know today, and then some speculation on what will disrupt the fridge. Drones in San Francisco can now apparently deliver fresh food to your door in 2 minutes. If this becomes mainstream do we still need fridges? Now how many fridge appliance manufactures are also into drones ? 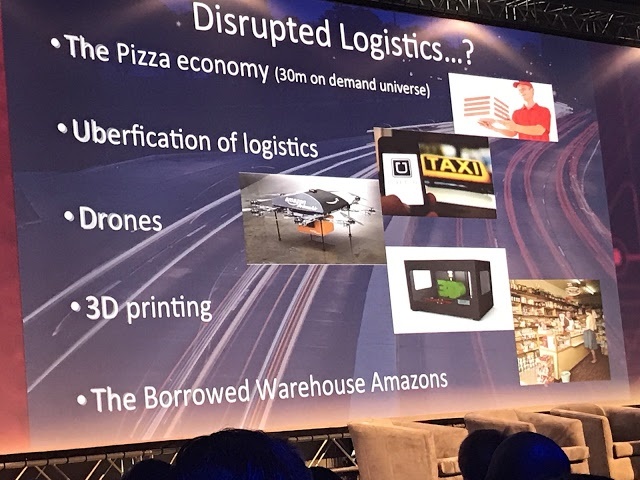 In fact, it seems like the whole logistics industry is about to be disrupted with a combination of drones and 3D Printers. Why would you deliver something you can print yourself ? 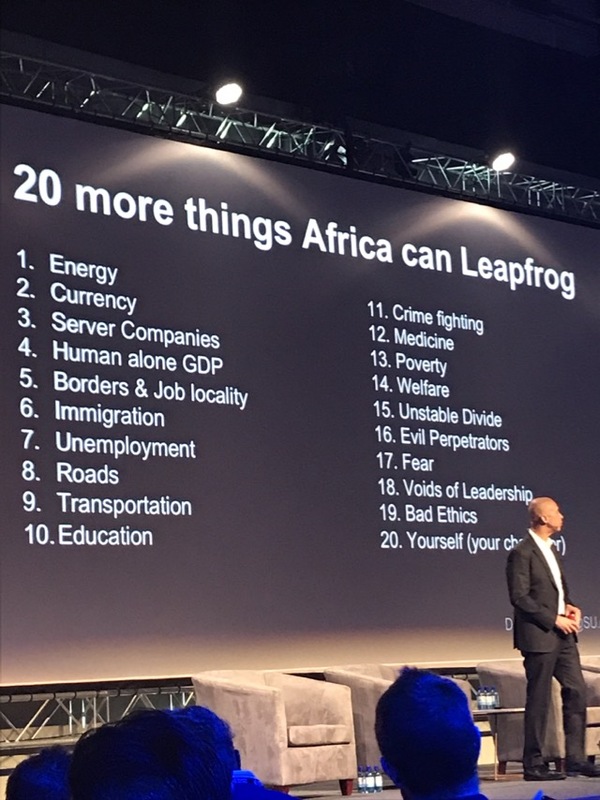 As Carlo van de Weijer explained, because of Exponential Technologies, these distributions can actually leap frog emerging countries in certain areas. The world’s first drone port is being built in Ghana, allowing deliveries of supplies in remote areas that do not have roads. 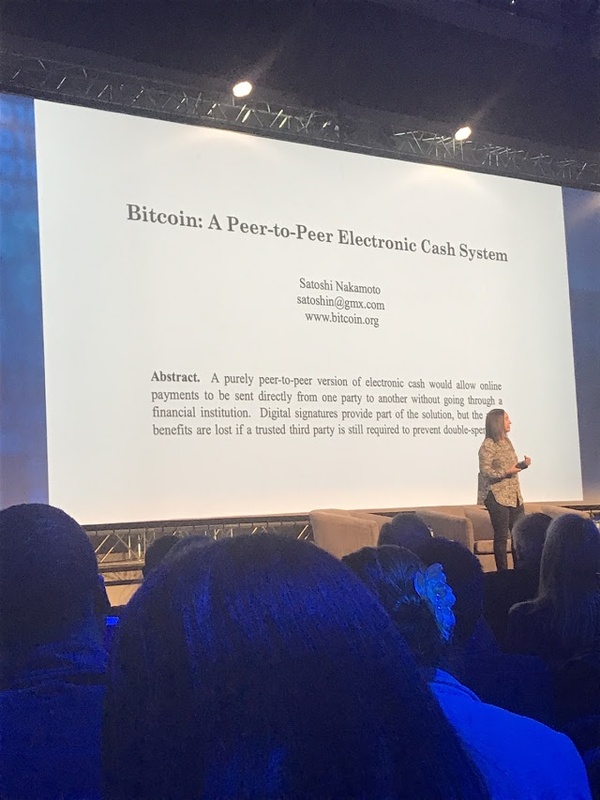 Mandy Simpson spoke about Blockchain and Bitcoin and what this might mean for the financial industry in the internet age. Personally I am not sure if our banks and other financial institutions are ready for this and the disruption it will cause. 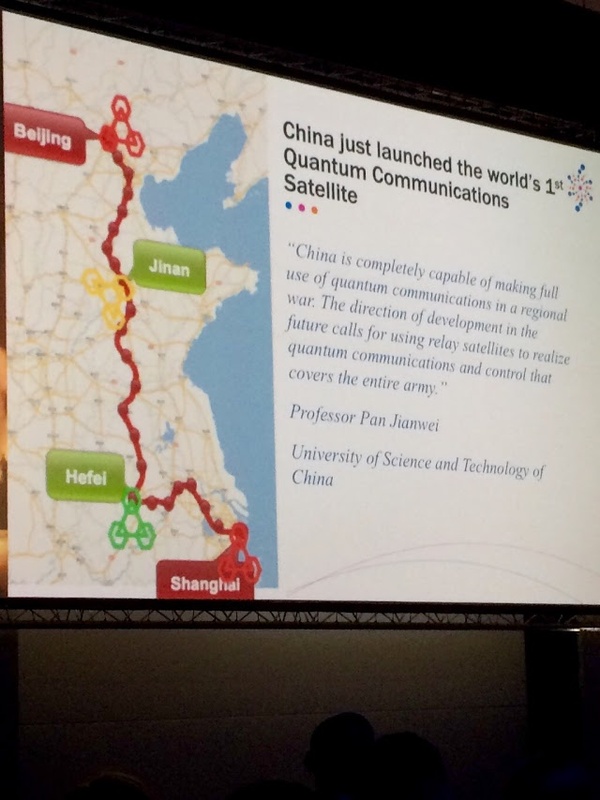 Very interesting talk on how far we are with robotics and what this will mean for us in the future. Baxter is a cheap robot that you teach by showing him what to do, and it’s disrupting the manufacturing industry. There are micro robots that can remove weeds from a farm land, basically replacing seasonal farm workers. But, like Vivienne Ming said, humans are not supposed to be bent over in the sun all day to remove weed. We cannot outsource who we are to a phone, or AI or a robot. 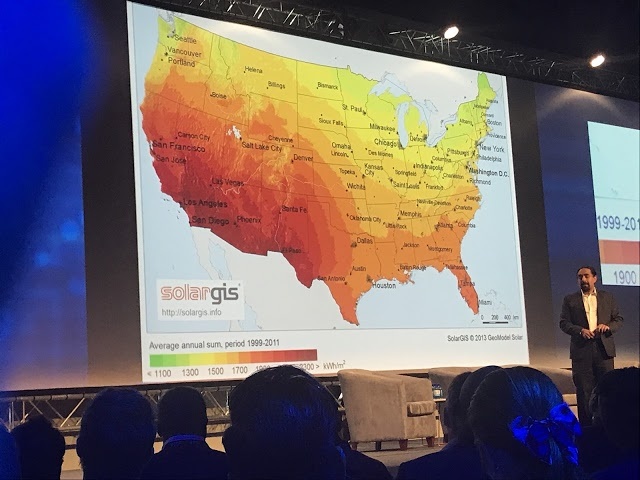 Ramez Naam spoke about clean energy and how that is disrupting the fossil fuel industry. In 1977 1 Watt cost $77, now it’s 30 cents. 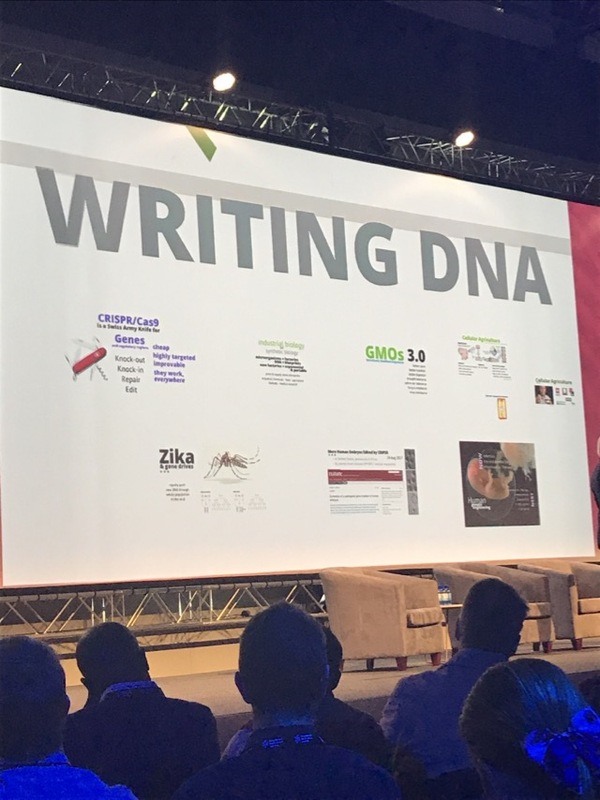 The most scary talk of all, Ray McCauley (not the one you are thinking of) spoke about how we can already read, write and edit DNA and how that can help us in the medical fields. There is a company in Isreal that is printing a heart using 3D printing and DNA hacking ! IoT bring a whole new set of security concerns, as Jaya Baloo explained in this talk. She is also of the opinion that World War III will be a cyber war and it’s already in progress… scary.